HMD Global has announced that the new Nokia 3.1 will be available in Australia in August. The handset is the fourth Nokia phone in the market to join the Android One family. “We believe everyone should have access to the most useful, dependable and future-proof smartphones in the world,” said Mark Trundle, Country Manager AU NZ, HMD Global. The new Nokia 3.1 is Nokia’s most affordable 18:9 smartphone, with a 5.2 inch HD+ display that is protected by 2.5D curved Gorilla Glass 3. The Nokia 3.1 runs MediaTek 6750, an oct-core chipset that provides twice the processor cores and a 50% performance increase from previous generations. 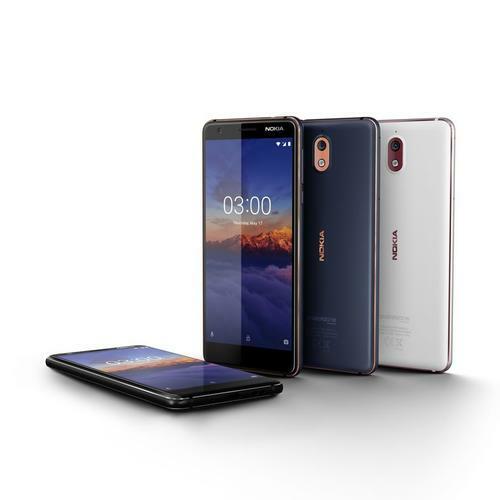 As guaranteed in the Android One Program, the Nokia 3.1 will receive three years of monthly security patches and two years of OS updates. The Nokia 3.1 2GB/16GB will be offered in Black/Chrome, White/Iron and Blue/Copper. The Nokia 3.1 will be available for $249 from 2nd August, from JB Hi-Fi and Harvey Norman.